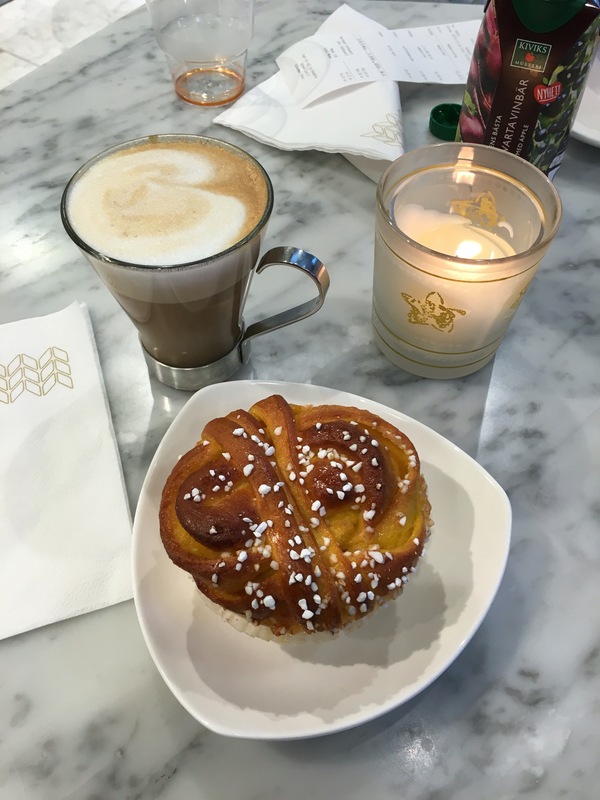 Anyone planning a trip to Sweden will read about fika. It’s simply the Swedish version of tea and cake – or is it? Well, traditionally it’s coffee and a cinnamon bun but we managed to vary it without being arrested by the culture police. 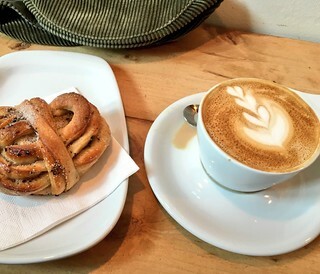 Fika is perhaps best described as a coffee break and apparently some employers allow time for it in the working day. A fine idea I think! In winter you’ll find candles on tables. This was the case from small cafes to a cafe in a very modern shopping centre. This really brightens up a winter day. Coffee is taken seriously in Sweden and well made, good quality filter coffee is widely available. it is strong but not to the point of making your eyes cross. Several places I visited free filter top ups were available, even if you actually got an espresso in the first place. Talking of espresso everywhere we went in and around Malmo from patisserie to station coffee bar provided well made coffee of excellent to good quality. 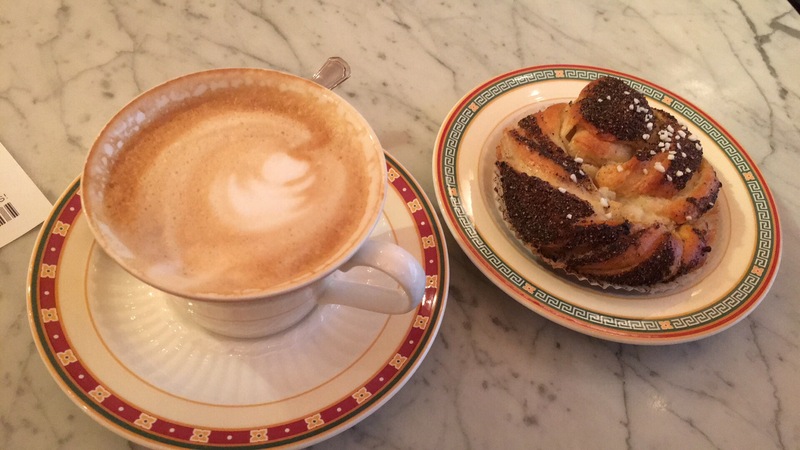 In Malmo the Hollandia is a splendid traditional Konditori – patisserie and coffee house. The cardamom buns were excellent as was the coffee. Friendly service and a very impressive chaise lounge to perch on. Nice and central too with just being up from the main square. Lund is a university town and did not disappoint on the fika front. We found a small friendly roastery and coffee shop called Love Coffee. Really good coffee that was a treat in a cup. It seemed a gathering place for local dads out with their toddlers which added to the friendly relaxed atmosphere. We also visited lots of small places and the Espresso House chain. Not a duff cup consumed!